Connect your USB Type-C devices to your computer, with reduced clutter. 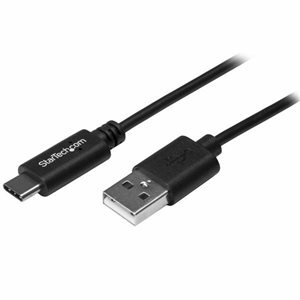 This USB-C to USB-A cable makes it easy to charge and sync USB Type-C mobile devices using the USB-A port on your computer or a standard USB-A wall charger, car charger or power bank.This non-standard 0.5-meter cable is great for close-range connections to charge and sync your USB Type-C mobile devices from your laptop.You can also use the cable to charge your USB-C devices from a USB-A wall charger, car charger or power bank. It's the ideal cable for commuters, for in-car use or to reduce clutter when syncing with your laptop.Replace the USB-C charging cable that came with your device or keep one as a spare in your laptop bag, backpack or other carrying case.